Are you ready for the dawn of the dawn of the planet of the dogs? Featuring a cast of hundreds of pooches unleashed on city streets, White God is a powerful, emotional and ultimately hilarious dog apocalypse. When 13 year old Lili is forced to get rid of her best friend and beloved mutt Hagen, it begins a story of horror and heartbreak for both the girl and her dog. Intercutting between the increasingly brutal treatment that Hagen finds himself at the hands of, and Lili's descent into teen rebellion as a response to the loss of her dog, White God is like Lassie Come Home on steroids. 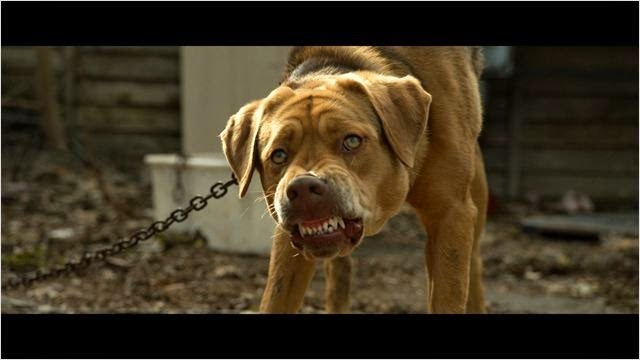 The real star of White Dog is the dog Hagen, who turns from loveable pet into a transformed monster by the end. It is heart breaking to witness the level of cruelty some men are capable of and Hagen goes through hell in the film. The animal performance is astounding from the desperation in his eyes to the wild fury and savagery he demonstrates in later scenes. It is the final act that elevates White God into something truly special. Man's best friend becomes man's worst nightmare in this brilliant but barking mad set piece. The conventions of the zombie movie and the serial killer slasher get dished out, and you are guaranteed to be howling in your seat in the final scenes. Buy tickets from 18th September.